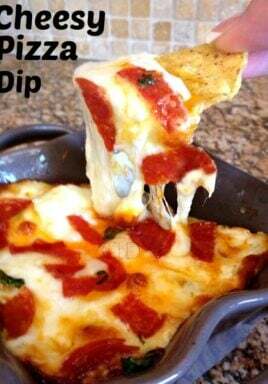 Cheesy Pizza Dip is a quick and easy appetizer that is sure to please! This simple, no fuss recipe has only 5 ingredients and takes a mere 30 minutes to make! 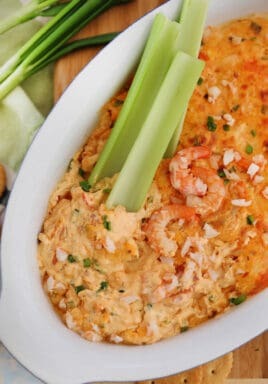 Whether you have a ravenous group of kids after soccer practice or if you are hosting a game day party, this Cheesy Pizza Dip is sure to hit the spot! Served with sliced bread, crackers, tortillas or even pita shells, this warm and Cheesy Pizza Dip will disappear super fast! If you’re looking for a quick and easy dip recipe that will please any crowd, this is the perfect recipe! 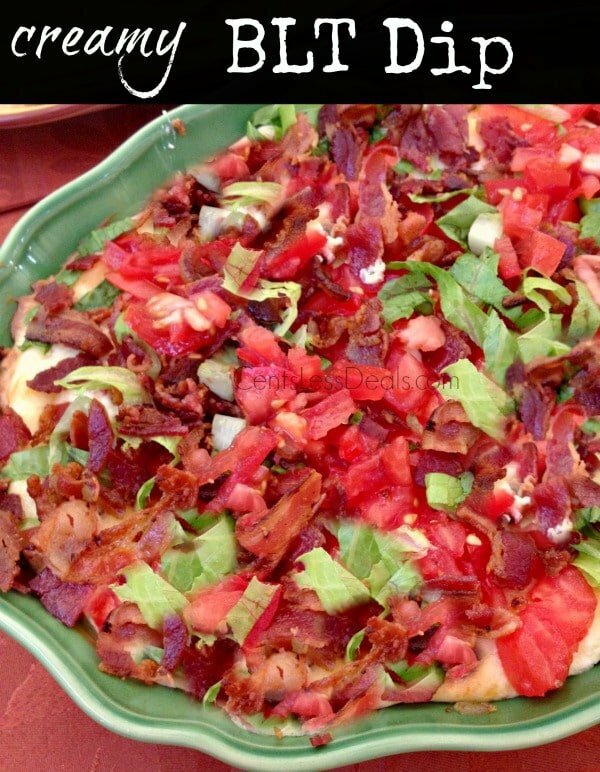 The best thing about this pizza dip is that you likely have all the ingredients on hand and ready to go! What if I don’t have the exact ingredients, can I modify this recipe? 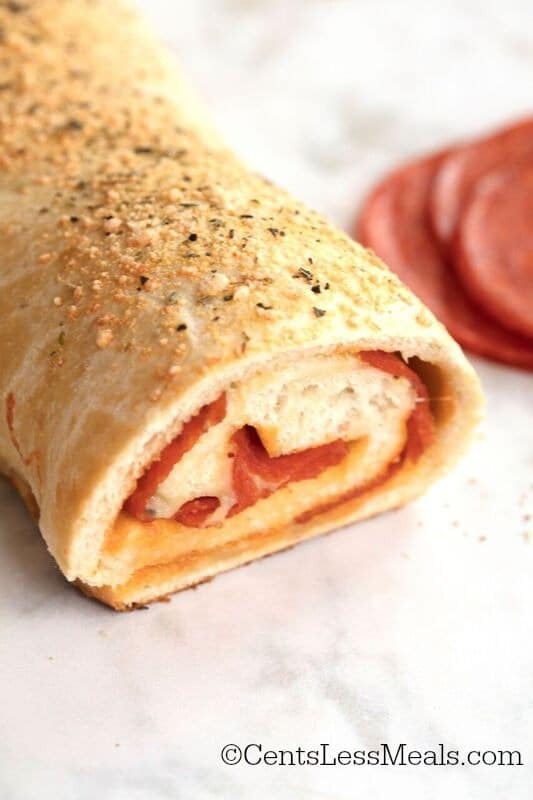 Replace the pepperoni with ham and pineapple! It is super delicious! Add in other pizza toppings like mushrooms, black olives, peppers, onions – be creative and adventurous! 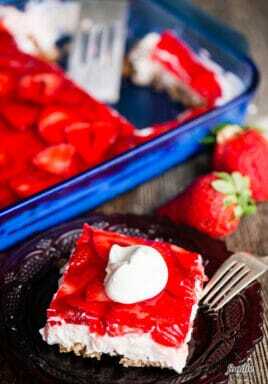 Use light cream cheese and light sour cream in place of regular varieties. Garlic powder can be substituted with minced garlic. Onion powder or green onions can be substituted or even added along with the garlic. While mozzarella is my favorite cheese in this recipe, you can always add cheddar, marble or monterey jack. If you want to add a bit more zest add some parmesan! The ingredients in this recipe do not have to be cooked so serving this cold pizza dip is definitely an option. 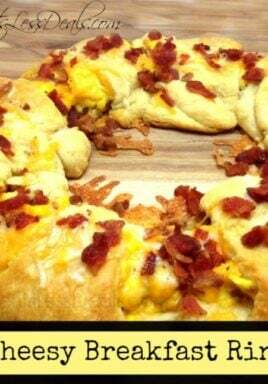 My preference though is to serve it warm and bubbly, with the golden brown cheesy layer on top! What is a layered dip? A layered dip is generally a dip served cold. The ingredients are literally layered – each one on top of another – so you can see each ingredient layer easily. Warm or baked layered dips can be made in the same fashion, however the ingredients will meld together which makes it harder to see each individual ingredient layer. Both warm or cold dips are excellent! If I am serving a small group, can I reduce this recipe? Whether you have a small group or are looking for just a snack, you can definitely reduce this recipe! Simply half or quarter all the ingredients, but continue to follow the instructions as is. 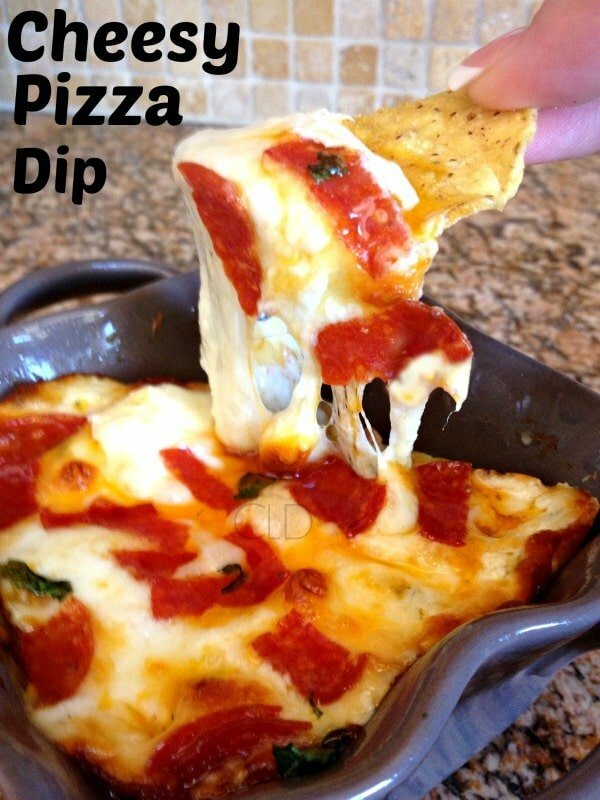 I guarantee this Cheesy Pizza Dip recipe is going to be the hit of any party you throw! Deliciously cheesy, delicately seasoned and served warm (or even cold!) 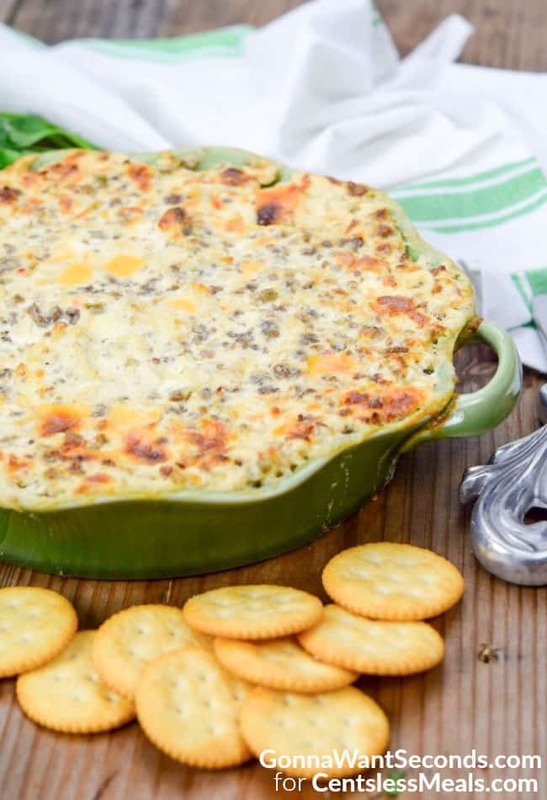 this dip is one you will want to make again and again! In a medium mixing bowl, mix cream cheese and sour cream till thoroughly blended. Add garlic salt, 1 cup mozzarella, and pepperoni. Top with remaining mozzarella (1/2 cup) and garnish with pepperoni. Bake for 20 minutes or until slightly browned and bubbly. « Previous Post15 uses for Baking Soda!! Can you prep this a day early?